Durban – A Waterfall woman used a burglar guard to fend off a housebreaker, whacking him until he fell out of the window. 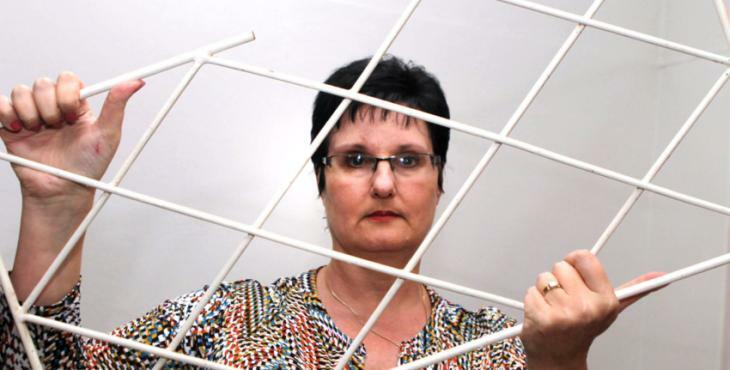 In the past few months, Durban women have taken the fight to burglars. Renette Edwards used a samurai sword in Morningside, and Jennifer Harris of Glenwood pushed a burglar off a ledge from her second-floor flat. This time, Michele Mayer struck the burglar several times with the burglar guard. Mayer, 49, and her daughter Chelsea, 10, were asleep in their bedroom. She heard two bangs and awoke with a shock. She grabbed her glasses and noticed the curtain was moving. Initially she thought the wind had blown the window open. She then caught the shape of a person under the curtain and instinct kicked in. “A screw was holding the burglar guard on to the window frame, which delayed him. I started screaming and lunged at the curtain. He was trying to push me in. I was pushing him out. We were both on either side of the burglar guard. The screw holding it came loose. “The next moment I was holding the burglar guard in my hand. I went wild. I whacked him until he fell out of the window. I mustered up some supernatural strength,” Mayer said. Chelsea sat up in bed, shocked, watching her mother fight. To add to their nightmare, at the same time, they heard the window break in the lounge. A second burglar was trying to get in through the lounge window. He put his hand through and took a vase and computer monitor from the table. The men also took a bicycle from outside the house and skipped over a fence. Although the incident happened late on Sunday night, the family are still shaken by the ordeal and sleep together in one room. Mayer and Chelsea are undergoing trauma counselling. Mayer is nursing bruises to her legs and arms, and cuts on her palm. Her husband, Mervyn, was not home at the time. He urged people to take a stand and fight crime. “If she stood back, what would have happened next? They could have been harmed. There is a list of possible scenarios. “Chelsea is still in fear. She won’t go to the next room without us being there. We refuse to live in fear. This is our home,” he said. Hillcrest police are investigating a case of housebreaking and theft.